Full Fat Soft Cheese with Garlic and Herbs. 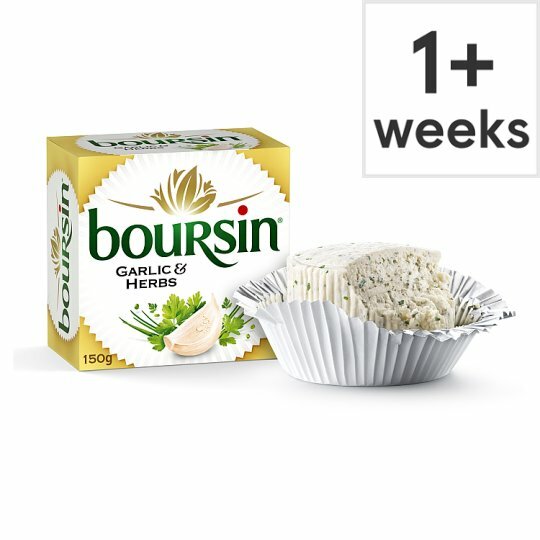 Boursin® Garlic & Herbs is a mouth-watering choice for perfect cheeseboarding. Its gorgeous, full-bodied taste complements the milder cheeses, and its softer texture contrasts with harder cheeses. The round shape and elegant silver-foil wrapper bring some extra visual appeal…making your cheeseboard a feast for the eyes as well as the tastebuds! For all your mouth-watering moments - Du pain, du vin, du Boursin®.